This entry was posted on Tuesday, September 14th, 2010 at 8:49 am	and is filed under Crafts, Decorating. You can follow any responses to this entry through the RSS 2.0 feed. You can leave a response, or trackback from your own site. 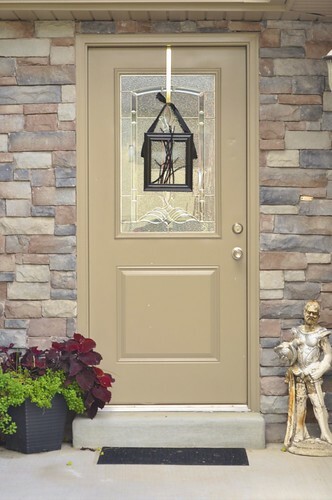 So is this your actual front door?? I love it! And love your fall planter, as well. 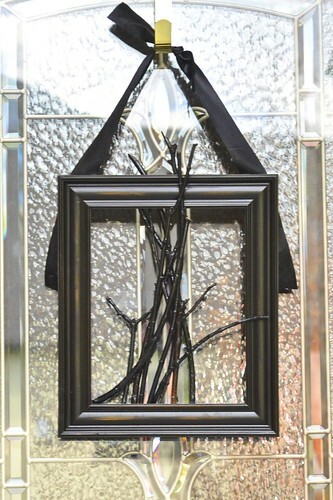 I think I might try this frame too… closer to Halloween it might look cute with a few spider webs strung across it and maybe a little hidden spider? I LOVE this. so. much. So simple, and so cool! Yep, that’s my front door. I have a little conquistador keeping guard. I love your idea of adding some cobwebs and a spider or two, Cutzi!